When our son was first born, my mother came to stay with us in our new apartment in Massachusetts. 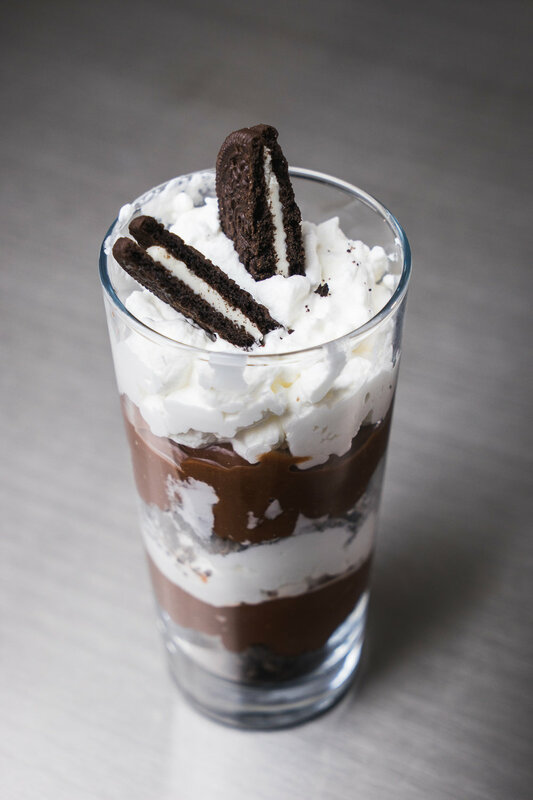 After dinner one night, Jim very kindly made us all a dessert of crushed Oreos, Cool Whip and instant chocolate pudding. We all licked the glasses clean with that tasty combination and it’s been a family favorite ever since. These days, I’m making more an effort to make it homemade so now when a craving for this dessert strikes, I will whip up a batch of Fresh Whipped Cream to replace the old standby Cool Whip. In place of the instant pudding we will use use my fantastic recipe for Chocolate Pudding (although true story, if we want this fast, I have been known to use the instant box pudding from time to time!) I have yet to master the wonder that is an Oreo cookie, so we are still at the mercy of the Oreo people for that one. This dessert is perfect for those “in the middle” days of late winter and early spring where it’s not quite hot, not quite cold, but is probably grey and rainy and something sweet is needed to celebrate the day or the fact that the day is finally over. Serve this winner to a favorite person in your life! This dessert is a great one to make ahead in tiny “shooter” glasses and allow to chill in the refrigerator until it is needed. Depending on the number of shooter desserts you are making, you may need to double or triple the ingredients and only do a single layer of toppings. If you are not a chocolate Oreo fan, I highly encourage you to experiment with cookies and see what you come up with! We have not tried anything else, but I could see this being quite tasty with a minty cookie at the bottom (Thin Mints anyone?) or perhaps a good old chocolate chip cookie crumbled and topped would be sweet.